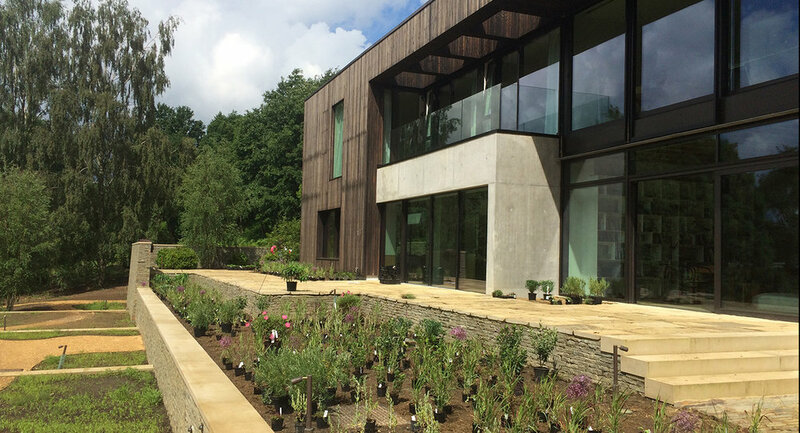 Located on a woodland site near Guildford, this Tom Stuart-Smith Ltd project involved the creation of a garden around a new modernist house by John Pardy Architects. Sloping ground required careful positioning of the house and use of retaining walls and banks. A swimming pool was positioned on the west side of the building, and the levels beyond blended with the existing contours of the hillside. To the south, a series of terraces prospect over a sloping lawn to a woodland and a natural pond below. 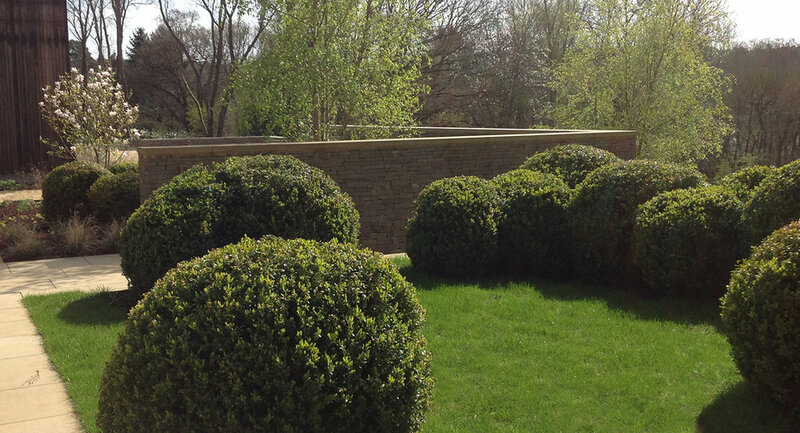 Cloud box hedges help animate the progression from built to wild, while Mediterranean style planting enhances the south facing suntrap next to the house. The lower south terraces feature a meadow-like matrix of exotic perennials and grasses that move into woodland herbaceous planting below the shade of birch and oak trees. In addition, works on the property include the restoration of the pond, surrounding woodland and wildflower meadows. This project was designed by Tom Stuart-Smith Ltd while Jem was Associate there. His role was as lead landscape architect.